URBANA, ILLINOIS. 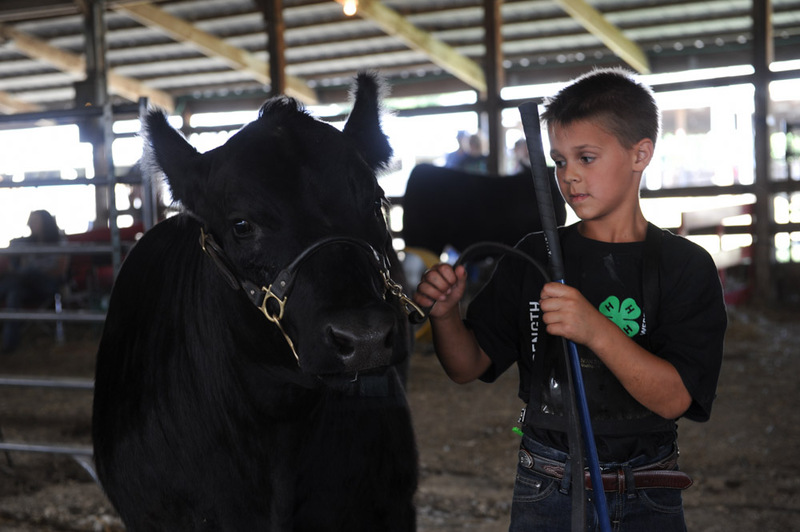 Alex Warner, 10, of Rantoul, Illinois waits to show his angus cow "Little Rascal" at the Champaign County Fair on July 30, 2015. Summer is county fair season and in Illinois, that means food, 4H, and the midway; Warner's angus cow placed first in the lightweight class of angus cow.